Stage 1: Design. Pacific Garages can help you design your garage and layout the entire project including site work, driveways, walkways, drainage and floor plans. Stage 2: Plans and Permits. 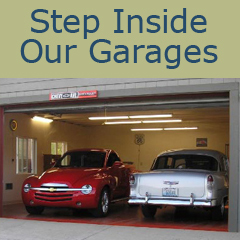 Plans are drawn by Pacific Garages to suite your specific project. Engineering when needed is also handled by us. Permit processing is also handled by Pacific Garages, but the actual permit fees are paid by the owner in order to avoid paying sales tax on the permit fees. Stage 3: Sitework and Excavation. No matter who is doing the actual excavation, it is best if all of us know when and by whom it is being done. Please call us and have any excavator touch base with us (preferably several days) before starting, so we can schedule someone to be there. Click on the Picture for a short video of mono preparation. Stage 4: The Foundation. The process takes approximately one and a half weeks. After the forms have been installed, the building inspector will usually come by within two days. We would appreciate if you could check the building permit and tell us when the inspection has been done. 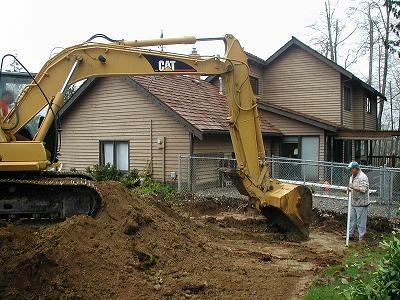 The inspector needs to have open access to the site and will either sign the foundation part of the permit or leave a correction notice if they find something that we need to address. Stage 5: Pouring the Concrete. Due to the nature of concrete and the possibility of weather messing up a schedule, it is sometimes hard to let you know more than one day in advance when we will pour it. If you could make sure that the site is clear of all extra vehicles and any other impediments to a large concrete redi-mix truck, it would help a lot. We will try to keep you informed of the schedule, and if needed, please call and arrange a way to insure a certain time or day. Otherwise, we will expedite the job as quickly as possible. Stage 6: Building Materials Delivery. We normally deliver the lumber, trusses and other materials one to four days in advance of the building crew. 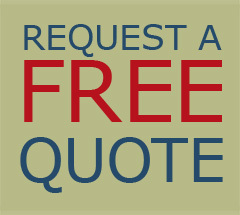 Here again we need free access to the site, and if you must have an exact day or time, please call us. Any paper work that is sent with the lumber should either be left with it or given to the carpenters when they start. We need most of the paperwork, both for verifying delivery and for the inspectors. Stage 7: Building. It will take anywhere from three to six days to frame and side your Pacific Garage. Some may take longer on account of size or more options. Where you can be most helpful at this stage is by providing sufficient electricity. We need at least two separate 15-amp circuits, one of which we'd prefer to be equipped with a 20-amp breaker. In wet situations, it is possible that a breaker could be tripped, so we would need to either have a resident home who would be able to reset the breaker or have access to the electrical panel. We usually know within one to two hours the first day if there will be problems with the circuits, so the first day of building is the most important. Stage 8: Roofing and Garage Doors. The roofing will be delivered on a large truck and placed on the roof, making for the last large truck to need access. The roofing usually gets there within one to three days of the framing's completion. The roofer will follow the delivery by one to two days. They will need one electrical outlet, preferably with an amperage of 20. The garage doors are scheduled to be installed about the same time as the roof is going on. They will need one electrical outlet also. Stage 9: Final Inspection. We will try to get the final inspector out as soon as we get the roof on, which is usually within two days. The inspector will need to have the building unlocked until they final it. We will ask you to monitor the permit and let us know of the results. Call us even if they haven't come, because sometimes they make mistakes, too. Stage 10: Electricity, sheetrock, insulation and plumbing are required to be finished before final occupency. Final framing inspection is completed by Pacific Garages, however the final occupency of the garage is held pending the completion of these tasks.